First off, we want to congratulate you on your new musician! This is the beginning of a fun learning process for your whole family. Luckily, this article can answer several of the questions you may have and provide you with knowledge to seek answers for any questions not addressed here. You’re about to embark on a wonderful journey that you can share with your child! Music is a part of life you can learn to appreciate, even if you aren’t in the class with the instrument in your hands. Band is a wonderful tool for children to learn teamwork and the benefits of a good work ethic. The National Association for Music Educators (NAfME) wrote an article about some key benefits of music in our schools that you can read here. Some of the benefits include emotional development, memorization, increased coordination, and discipline – just to name a few! Most middle school programs have minimal after-school requirements making working with band very simple. Sure, the sounds in the beginning will be very cringe-worthy and an ear plug investment might be wise, but their hard work and your encouragement will pay off. No one smiles as widely as a parent at their child’s first concert – no matter how bad it sounds. 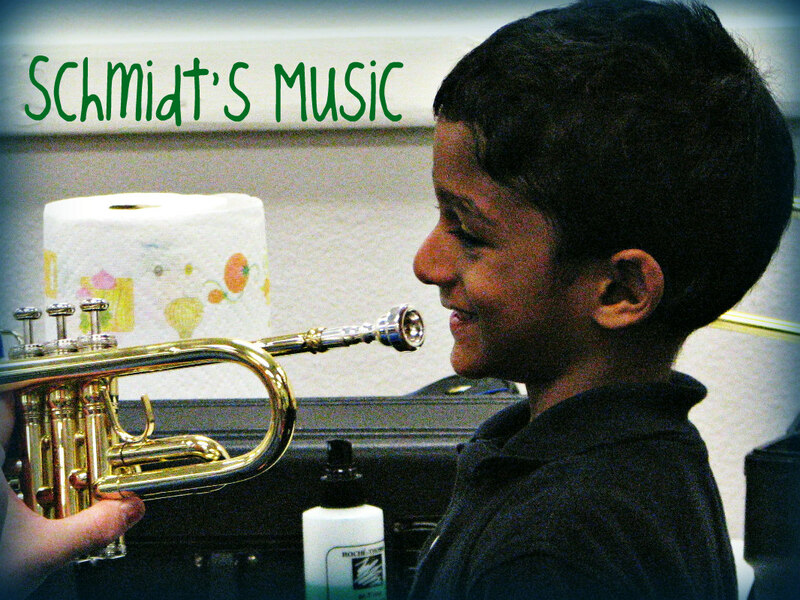 In order to make sure your child chooses the instrument best suited for them, sit with a professional that can assist your student with making a sound on each instrument. Schmidt’s Music hosts a night at all of the area middle schools for this purpose. 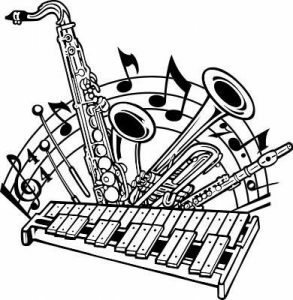 At this event, your child has the rare opportunity to try all of the instruments offered in the band program, meet the band director, and meet some of the students they will sit next to in band! For your convenience, representatives are there to provide rental information so you can have a better idea of what to expect financially. Don’t worry; we have plenty of sanitizer spray so this will not be an unsanitary experience. I know this seems like a lot to digest before your child even begins band, but we have compiled and made for your ease a check list for your beginner! Click to download the checklist! Is band going to be expensive? Not at all! Sure, it will be more than your Netflix subscription, but you’re getting a high quality instrument that will last for years and the instrument that will get your child started on their musical journey. To set your child up for success, it is important to choose one of the approved brands. Once the instrument has been selected by your student and approved by the band director, you will need to acquire an instrument. If you happen to already have an instrument that is great! If it needs any repair (cleanings, adjustments, etc.) it needs to be serviced at a reputable repair shop. Naturally, we recommend our repair shop with five full-time repairmen. Why do I need to clean it? 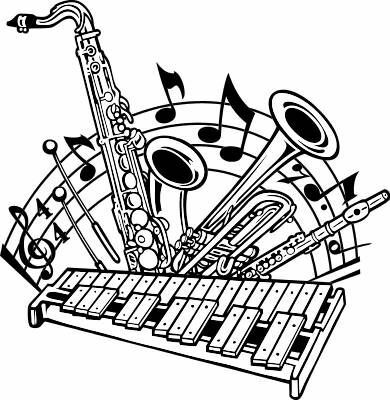 All wind instruments compile “moisture.” This is a combination of condensation (the heat of your breath combining with the coolness of the instrument) and saliva. Lubricants also build up and can create issues if the instrument does not have regular cleanings. Now, most of the cleaning can be done in a bathtub at your house, but it won’t quite clean everything. Schmidt’s Music has an ultrasonic cleaning tank. Basically, it is a tuba-sized jewelry cleaner that uses mild chemicals and ultrasonic vibrations to get in all of the nooks and crannies of your instrument and clean it better than the bathtub! This is primarily for brass instruments as the build-up is worse for them. 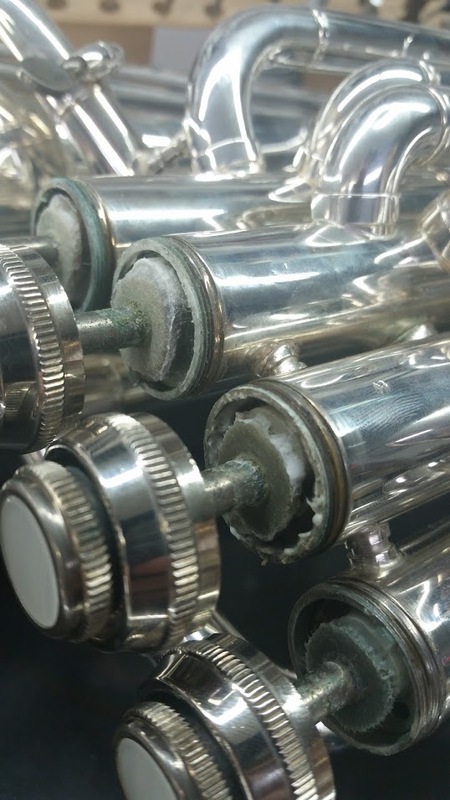 Simply having the tank isn’t enough, you want to make sure it is a professional taking care of your instrument to ensure it lasts as long as possible by taking it completely apart to make sure there is no lingering moisture or lubricant residue. Ultrasonic cleanings are recommended at least once a year to prevent any permanent repercussions and definitely something you should do if you purchase a used instrument (any of our used instruments have already gone through this process). Your band director recommends cleaning brushes that help maintain the instrument between these major cleanings, but nothing can substitute an ultrasonic tank. Call us to schedule a repair or cleaning! Why does the brand matter? Think of things you buy that you want to last – smart T.V., smart phone, running shoes, etc. You stick with the brands you know in order for your investment to last the longest. There are many things out there that our industry calls “instrument-shaped objects” or “ISOs”. These ISOs very often don’t have serial numbers or replacement parts. Serial numbers are like VIN numbers on your car; a unique number that the manufacturer stamps on the instrument so if you have a line of trumpets, you can easily identify which is yours simply by checking the serial number. This number is also useful in recovering your instrument should it be lost or stolen. There’s a serial number, but it isn’t on the list! Having a serial number is just the first step, you also want to make sure that parts for that brand are readily available to your local repair shop. Even for the most careful child, replacement parts are a necessity. Reputable repair shops won’t work on instruments that they can’t get parts for in case something breaks that they cannot replace. Poor quality instruments do this so it is cheaper out the door. Honestly, it won’t save you any money. You will pour money into an instrument that isn’t really worth it and spend more trying to make it work like an instrument worth twice as much. ISOs will also frustrate and hold back your student–ask any musician that has played a low quality instrument. Not sure if your brand is one of the recommended? Check out the supply list for your school! How do I get an instrument? If you do not have an instrument already, a Rent-To-Own program is what band directors highly recommend. This way, all repairs are covered and you are sure to get an instrument that your band director trusts. Another benefit is that you are not stuck with an instrument if your student decides to no longer pursue music. With Rent-To-Own, you simply return it! We rent both used and new instruments, but used are based on availability. The only difference will be cosmetic wear, as our used have been repaired and thoroughly cleaned with our ultrasonic tank so you can make sure no germs or mold lingers; they will play like a new one! Call us to get start your rental! 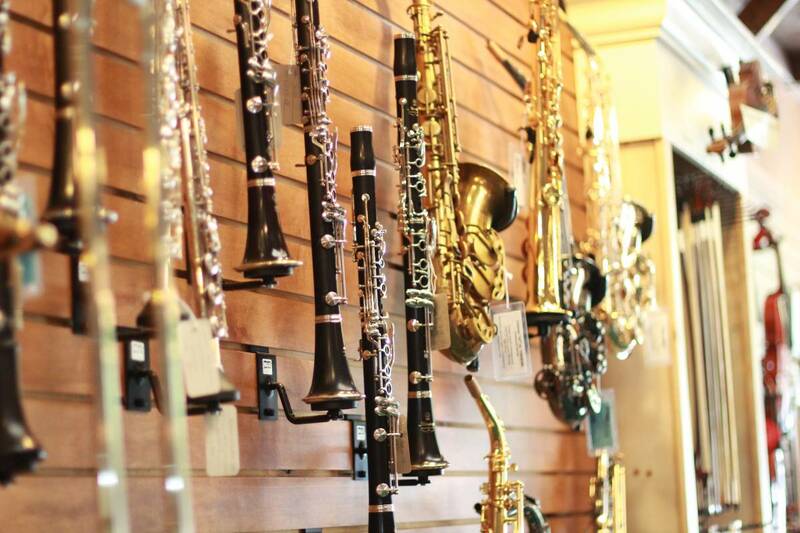 The pricing varies based on what instrument your student selects and whether it is new or used. 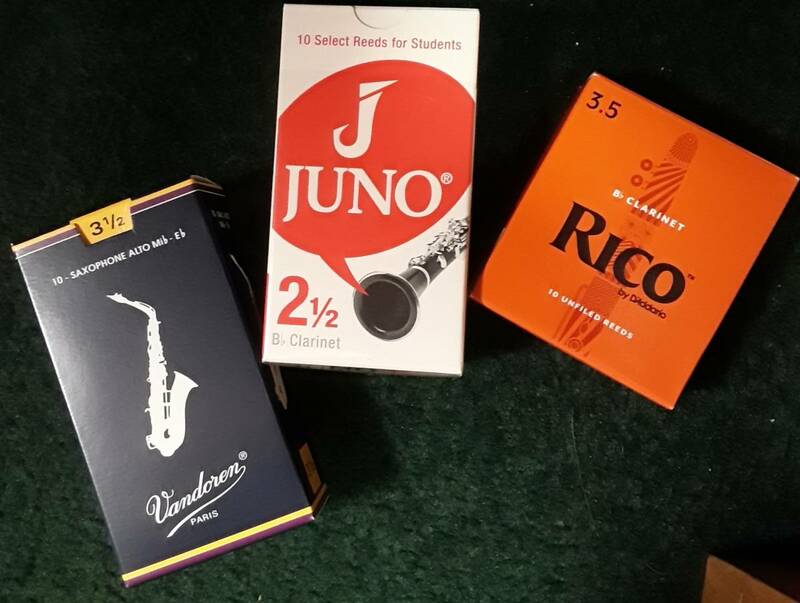 Flutes, clarinets, trumpets, and trombones are between $30-$40 used and $37-$44 new. Alto saxophones are around $60 used and as much as $71 new. Used pricing varies based on cosmetic condition while new pricing is based on the brand chosen. Click here to view more specific pricing! Each band director has a list of additional supplies they recommend in order for your student to have everything needed for the band class. We will talk more about supplies in a later section. Okay…what else do I need? Your band director has also made a list of additional supplies for each instrument (book, cleaning supplies, etc.). These items keep your instrument in good condition and are necessary for the upkeep. This list is available here or from the band director. All of the supplies can be found at our store and set to be delivered when school begins. In fact, we have a special program where we will even deliver your rental instrument at no charge! Typically, you will find a book on the list between about $10-$15, some cleaning supplies, and a folding music stand. Clarinets and saxophones will need reeds which are necessary to play the instrument, last a couple of weeks, and can get chipped or broken if the student isn’t careful (ALL beginners break a few reeds — it’s normal). Trumpets and trombones need oil to keep parts moving quickly. All of these prices can vary based on the instrument and specific brands recommended by your director. The book, stand, and cleaning supplies are typically a one-time or vary rare purchase. Consumable items such as the reeds and lubricants (oil, cream, grease) will need to be purchased more frequently, but not every week. Best of luck on this journey! We are here with any questions you may have!